Information derived from satellite images can soon be made available to governments to help guide policy making related to food security and sustainable development, particularly in rice-growing areas. The European Space Agency (ESA) satellite, Sentinel-1A, launched in 2014 can provide regular ‛snapshots’ of Asia. The imagery is derived from synthetic aperture radar (SAR) systems that can monitor the earth’s surface day and night, even through rain or cloud cover—hence, images even during the monsoon season—making the tool perfect for rice crop monitoring. 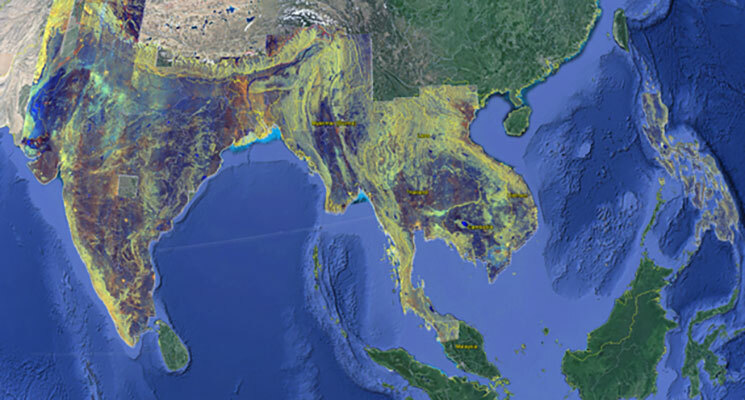 As a demonstration of the potential of the Sentinel program, sarmap and the International Rice Research Institute (IRRI) have generated mosaics, composed from several Sentinel-1A images that cover 7 million square kilometers of South and Southeast Asia. These cloud-free mosaics show detailed SAR imagery for accurate monitoring of agricultural activity and of the state of natural resources across Asia. SAR-based monitoring has never before been possible at such large scale, mainly due to the cost and challenge of processing so much imagery automatically. Fortunately, Sentinel-1A imagery is available for free and sarmap has developed automated processing chains, hosted on cloud computing facilities provided by Amazon Web Services to handle this vast amount of data. The rice crop can then be monitored on a regular basis through the season. This kind of monitoring can support a data revolution, leading to better and more timely information on crop production. Rice is one of the most important crops for global food security, and 90%—or about 140 million hectares—of the world’s rice-growing area is in Asia. The crop is regularly exposed to the risk of damage from drought, flooding, and tropical storms. Timely and accurate information on rice, i.e., crop area, crop growth, and losses due to calamities) is thus very important to rice-growing and -consuming nations. IRRI and sarmap are working, with many other partners, on two major projects that use SAR imagery: One is the Remote Sensing-based Information and Insurance for Crops in Emerging economies (RIICE) project, which has already used SAR images to monitor rice-growing areas in 13 test sites in Cambodia, India, Indonesia, the Philippines, Thailand, and Vietnam. The second phase of the RIICE project starts in May 2015 and aims to develop in-country capacity to help partner governments fully benefit from the technology. 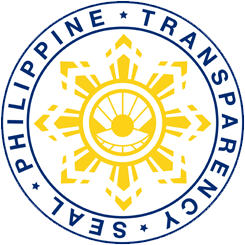 The other is the Philippine Rice Information System (PRiSM) project, the development of which was funded by the Philippine Department of Agriculture. The PRiSM project has identified SAR-based rice monitoring as one of the technologies to be used for delivering better rice crop information. What do the images show? SAR imagery must be interpreted differently from imagery commonly available through Google Maps and other mapping services. In the SAR mosaics, we have processed images taken between 21 February and 10 March 2015 such that dark blue represents water or other flat surfaces such as airport runways, orange and white represent built up areas and human settlements, light blue represents bare soil, while brown and green show vegetation at different stages of growth. SAR imagery from Sentinel-1A enables tracking of changes in vegetation and water through the seasons, which changes the way crops are monitored from space in monsoon conditions. The following image, for example, of the lower Mekong Delta—one of the most important rice-growing regions in the world—clearly shows how SAR imagery can capture differences in vegetation and water. The irrigation network and the various stages of the rice crop across the delta are visible as well as other features such as cities (e.g., Ho Chi Minh at top right of the image) and aquaculture in coastal areas. The image is a snapshot of the earth’s surface, but Sentinel-1A will continue to capture images over the region, and these images will become increasingly useful as they reveal the progress of the rice crop over time, season after season. This work has been conducted for the RIICE project funded by the Swiss Agency for Development and Cooperation (SDC) and for the PRiSM project funded by the Bureau of Agricultural Research of the Philippine Department of Agriculture (DA-BAR). It is also supported by the Global Rice Science Partnership (GRiSP). Global: sarmap, IRRI, Allianze Re, Deutsche Gesellschaft für Internationale Zusammenarbeit (GIZ), and SDC. Cambodia: Cambodian Agricultural Research and Development Institute (CARDI) and Ministry of Agriculture, Forestry and Fisheries (MAFF). India: Tamil Nadu Agricultural University, India (TNAU), and Agriculture Insurance Company of India Ltd. (AICI). 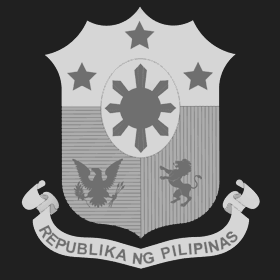 Philippines: Philippine Rice Research Institute (PhilRice), Department of Agriculture (DA), Philippine Insurers and Reinsurers Association (PIRA), and Philippine Crop Insurance Corporation (PCIC). Thailand: Rice Department of Thailand (RD), Geo-informatics and Space Technology Development Agency (GISTDA), Fiscal Policy Office (FPO), Office of Agricultural Economics (OAE), Department of Agricultural Extension (DOAE), and Ministry of Agriculture and Cooperatives (MOAC). Vietnam: Can Tho University (CTU), Institute of Meteorology, Hydrology and Environment (IMHEN), National Institute of Agricultural Planning and Projection (NIAPP), and Ministry of Agriculture and Rural Development (MARD). Philippine Rice Research Institute (PhilRice), IRRI, sarmap, Bureau of Plant Industry (BPI), Philippine Statistics Authority – Bureau of Agricultural Statistics (PSA-BAS) and Philippines Department of Agriculture (DA), Regional Field Offices (RFOs) in the following regions: Cordillera Administrative Region, Ilocos Region, Cagayan Valley, Central Luzon, CALABARZON, MIMAROPA, Bicol Region, Western Visayas, Central Visayas, Eastern Visayas, Zamboanga Peninsula, Northern Mindanao, Davao Region, SOCCSKSARGEN, Caraga, and Autonomous Region in Muslim Mindanao.